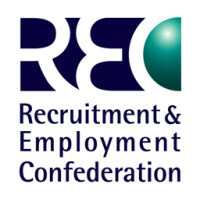 The Recruitment and Employment Confederation (REC) and KPMG have this week published a report on the UK labour market, using date obtained from recruitment consultancies around the country. The report deduced that whilst permanent and contract employment is still on the up, the rate in rise is at the lowest it’s been for 27 months. The report provides insight into how both permanent and contract staffing grew in August, but at the slowest pace since May 2013. This slow increase on both sides was due to the lack of available candidates with the right skills, combined with a lull in job seeking activity during the summer period, ultimately resulting in an accelerated decline in placements. Many employers will expect candidates will have made holiday plans over the summer months, and may postpone hiring processes until the autumn as a result. Equally, hiring managers often take time off during the same period and may wish to delay hiring until their return so they can be fully involved in the process. Demand, however, continued to rise in August with the number of vacancies outsourced to recruitment agencies at a marked rate, particularly for permanent roles. This demand was biased towards the private sector which saw the strongest growth in August, compared with the public sector where, in contrast, vacancies rose only slightly. Regionally, London saw the slowest growth in the UK in terms of permanent placements, the North was slowest on the contract side, whereas the Midlands reported the strongest growth overall. Salary growth remained strong on the perm side. On the contract side, salaries increased steadily but at a slightly slower rate than perm. REC chief executive, Kevin Green, commented: ““The UK jobs market is entering a new phase. Because of the scarcity of talent available, we expect that employment will continue to grow but at a slower speed than we have seen over the past two years. Likewise, unemployment is likely to slow its rate of descent as we move closer to full employment. “There was no respite for recruiters in August, who were left struggling to fill vacancies after a vast swathe of Britain’s job seekers appeared to take the summer off. The number of people looking for a job fell at the sharpest rate seen for a year, leaving unfilled posts across the economy. “Many candidates may have simply shelved their plans for the summer, believing their prospects to be stronger in September. However this is of little comfort to those businesses needing staff now to meet demand for their goods and services.